Tish originally trained as a naturopath and the philosophy that she adopted there, that the body has an amazing capacity for self-repair, has remained the focus of her work ever since. Tish’s practice shifted over time from a naturopathic / herbal based clinic to a bodywork focus. 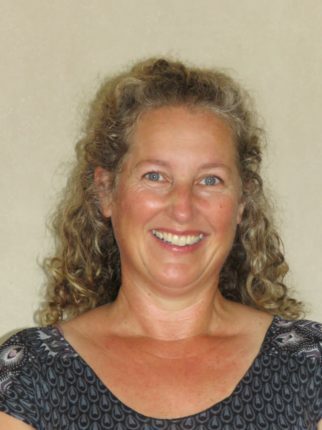 She worked as a remedial massage therapist for many years and for 12 years was also the senior tutor on the Certificate of Relaxation Massage and Diploma in Massage programmes at NorthTec, Whangarei. She trained in Biodynamic Cranialsacral Therapy after many years of receiving this treatment and now works exclusively in this area. She loves her role in health care and enjoys the variety of clients she sees in her day and the results this therapy offers clients. The therapy is gentle and versatile enough that she can treat babies, teens, adults and the elderly. For the range of conditions that BCST helps address, please see BCST under the Therapies Tab. Tish is available full time at Whangarei Wellbeing. To book a session please use the contacts below.